Looking forward to meet you both soon! It's actually the first time I hear you mention him, is he an experienced player? This is me (my name is -Jedi-Spirou002 there) with the Jedi Clan which I am the leader against another clan. I won't be attending but I would love to see some video of the event, maybe even a live stream of some games or something. When I play in real life, and make an attack or get attacked, I say the name of the piece, is that allowed or must it be silent and show the piece? I was thinking we could create a whatsapp group, then it would be easier to communicate.. anyone interested? I am wondering about the whether conditions in Holland. 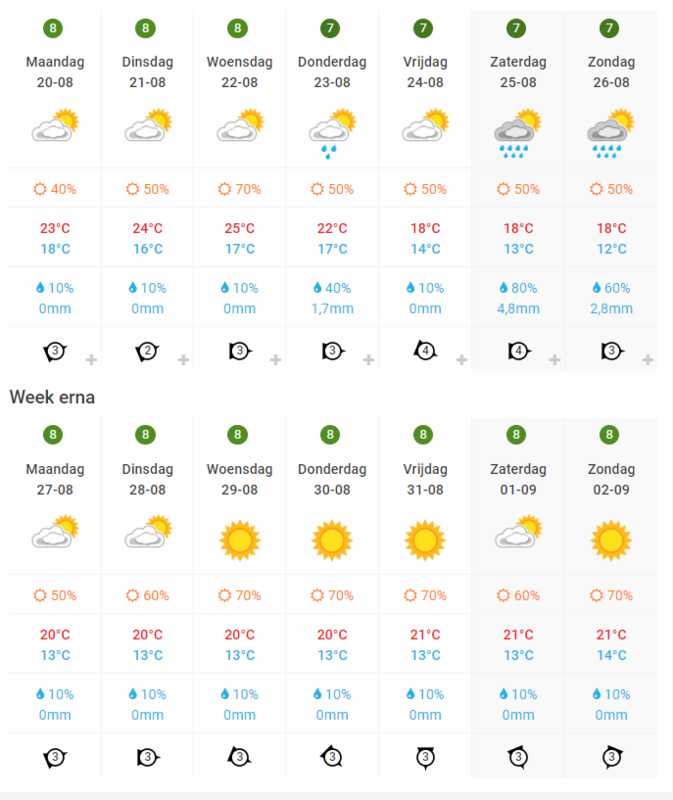 I mean it is summer but i presume Greek summer is totally different from Dutch summer. Here we have 33 C which is considered mild for August. In Holland i would expect 22-25, am i correct? Could someone enlighten me? Probably not of the games. Best bet is to contact the organising team (contact details are in the invitation document) about it to be sure. We've not really thought about it. Alright then, thanks you ! Re: live webcam view. What if the table setup is like in the Dutch championships, with several rows of 4 board next to each other. You could mount a permanent webcam that doesn't show any piece identity, but still shows the top 4 boards and players, as well as the progress of the game etc. Having this on a live website would be awesome! Edited by TemplateRex, 19 August 2018 - 09:02 PM. 3 Big fighters will meet each other again in 5 days!!! It's a pretty neat picture to have three of the best players in the world like that. Nice one John. Catch the last stop of the Grand Chess Tour! DATES August 17 - 28, 2018 LOCATION Saint Louis Chess Club FORMAT 10-Player Round Robin PRIZE FUND $300,000 SPECTATORS More information coming soon! This chess cup championship is streaming live on YouTube right now. Over 8000 people watching. I understand the money is not there but the enthusiasm sure is . If the game/site hopes to grow this seems to be a natural avenue to take. Napo Jr, does your go pro stream live? Napo Jr, what a cool surname ! I would record every day and make a small Editing and then post it here or send it via email or on YT. I Don't know if there is a livestream fonction on go pro, maybe you know it? If the IFS would be ok with the idea, it would be non-intrusive to the tournament if a view of the result screen at an angle you could see people playing at a distance. Napo, would you be willing to invest this if Napo Jr. became our media guy with ISFs permission? Napo Jr, would you be willing to invest more into this community with your skills if Napo did you this favour? Point is, I'm not sure of the livestrea mreally real time, what if it is.. 1 hour late? And where do I post it as it is a video, to send a link I may put it into YT. Last thing, is there a wifi connection in the arsenal? Edited by Napoleon 2ème, 21 August 2018 - 08:57 AM. I can organise to write the results in an informatic way too, is it a good idea or you are already ok for that part?